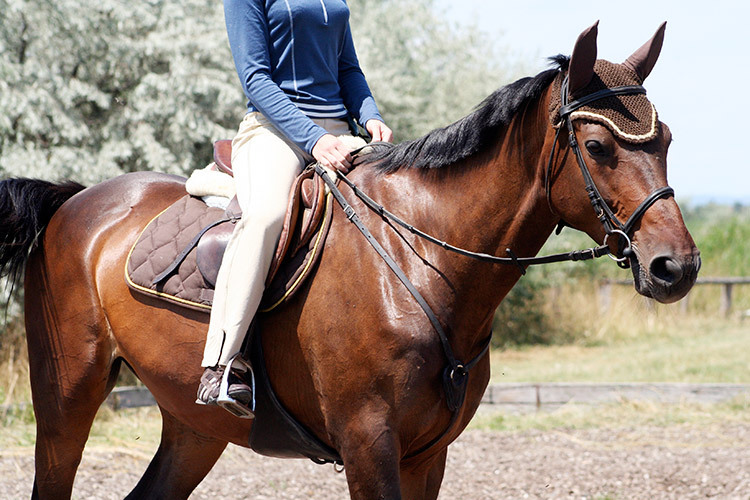 Jodhpurs are designed specifically for riding and will ensure a comfortable ride. They are usually ankle length and can be worn with both jodhpur boots/paddock boots or long riding boots. Look out for jodhpurs that are stretchy – they are usually made with some degree of lycra or spandex, however are more robust with more protection than just plain leggins. It is important to buy a pair of jodhpurs that are comfortable and don’t restrict your movement in any way. There will usually be reinforced stitching and padding around the knee and calf area and on some styles around the bottom and the backs of the legs. Consider the type of boots you will be wearing alongside these jodhpurs as you may want to make sure you are comfortable wearing your jodhpurs with both long boots and ankle boots with chaps.